Just over a week to go means we’re still shipping in time for Christmas. 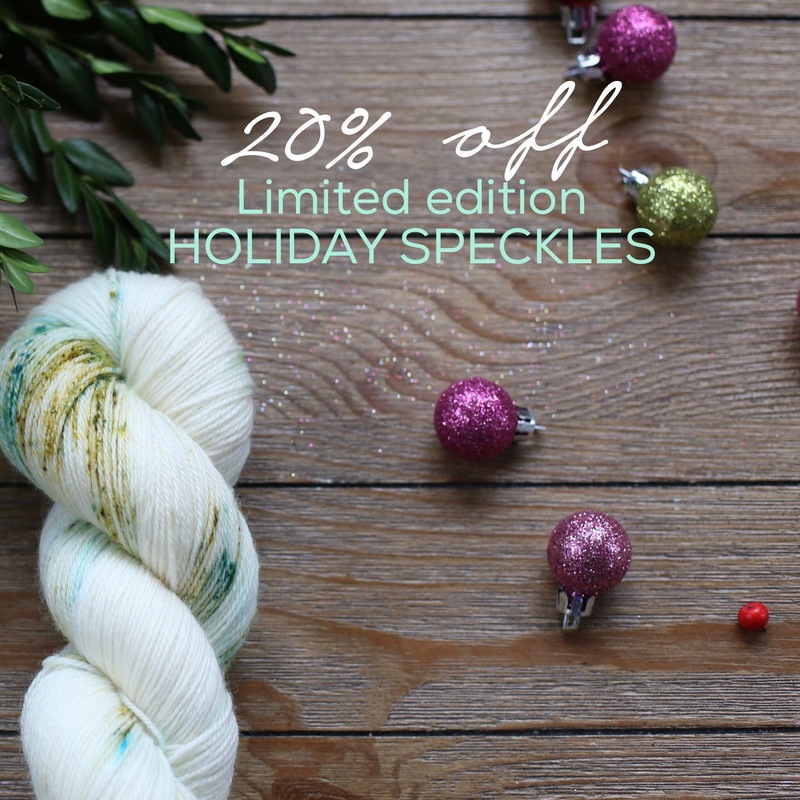 Today’s sale features our Limited Edition Holiday Speckled yarns. Save 20% when you use the code DAY8 at checkout. We’ll ship orders by Tuesday evening so if you’re in the US, you should still receive by Christmas! While we’re thoroughly enjoying our ‘Nice & Knit 12 days of Christmas’ there’s a small part of this countdown that’s giving me a touch of anxiety because there’s only 8 days left and I still have an abundance of shopping to do. I’ve done very little, in fact. I do my best to remember that this season isn’t about the gifts but I also really enjoy the process of selecting special items and most importantly giving them to those I love. So often they give me so much that I enjoy the opportunity to give back. Oooh, your speckles are SO pretty!